Can We Get a Window Seat? We clearly have holiday travel on the brain. 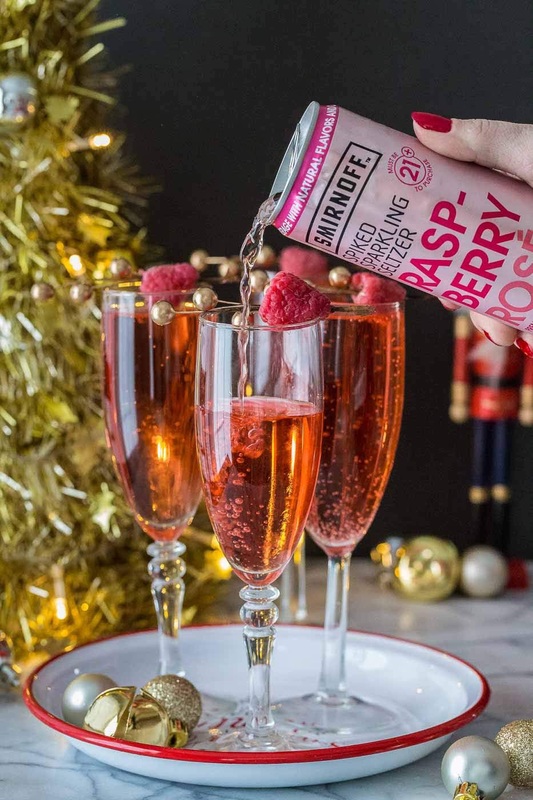 We recently suggested shoes that make the TSA line more bearable, and now we're giving you the scoop on how middle-seat fliers can potentially get their seats upgraded by Smirnoff Spiked Sparkling Seltzer. The brand recently announced that from today until December 14th it's "bringing fun to the un-fun" by spending up to $50,000 on upgrades for adult travelers with a middle seat ticket on a U. S. direct, non-stop flight taking place between December 17, 2018 and January 31, 2019. 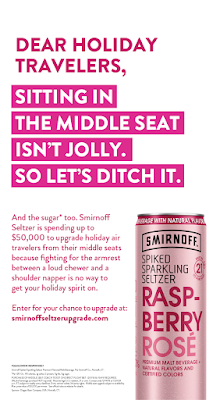 To enter, hopeful travelers just have to share their seat assignments (securely) via SmirnoffSeltzerUpgrade.com. A panel of judges will then decide which entrants are most deserving of seat upgrades of $3,125 or less. So, do your travel plans deserve a #funofakind upgrade? Click below.